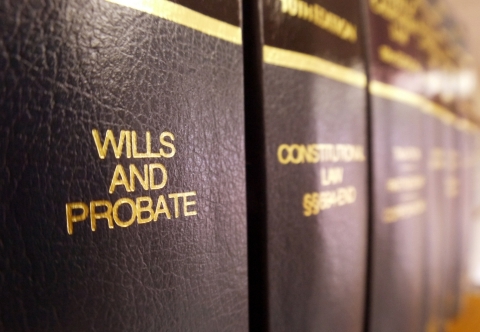 The term “probate” has 2 meanings in the context of trusts and estates. Probate, in its narrower sense refers to “the act or process of proving a will.”1 In Virginia, circuit courts have jurisdiction over the probate of wills. In most cases, the probate process is conducted by a clerk or deputy clerk of the circuit court who reviews a document alleged to be a deceased person’s will and decides whether the document is the decedent’s valid last will and testament. If the clerk or deputy clerk decides that the document is the decedent’s last will and testament, he or she admits the will to probate and files the will in the clerk’s office. “Probate” in its broader meaning is a term used to include all matters of which probate courts have jurisdiction.2 In its broader sense, probate refers generally to the process of administration of a decedent’s estate. In that process, the personal representative of the estate collects the decedent’s assets, pays the estate’s debts and expenses and transfers the remaining assets to the persons entitled to receive them, i.e., the beneficiaries of the estate. The duties that a personal representative will actually be required to perform in a particular case depend on many factors. A personal representative can be obligated to engage in activities that range from performing a limited set of simple tasks to completing a very substantial number of complex steps. 1. Black’s Law Dictionary, revised fourth edition (1968).